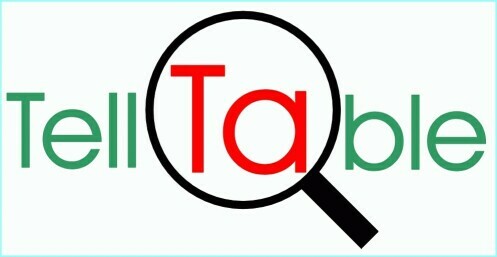 TellTable-View is a stand-alone program to review and analyze audit trail information for a spreadsheet. TellTable-View analyses OpenOffice.org calc spreadsheets containing change information and directs the user to suspect changes. By simply configuring various filter settings the entire document (containing a single or multiple spreadsheets) can be quickly and easy checked for suspect changes. Note that Microsoft Excel spreadsheet files can be imported to OpenOffice.org calc and it can write files in Excel format, but we cannot then guarantee the reliability of the change record. In setting (1), "*"finds "J. Doe, Jane Doe, John Doe or other combinations starting with "J" and ending with "Doe". The user could also set "case ignore" to true to capture furthercombinations that might have been missed.